Here is this week’s collection of articles, blogs, and announcements covering the days of 12/22/13-12/28/13. Here is this week’s collection of articles, blogs, and announcements covering the days of 12/15/13-12/21/13. For those able to make it to the central Ohio area, it looks like this testing conference is shaping up with a nice lineup of speakers. Here is the line-up to date. Here is this week’s collection of articles, blogs, and announcements covering the days of 12/8/13-12/14/13. Here is this week’s collection of articles, blogs, and announcements covering the days of 12/1/13-12/7/13. As you know, I like to keep up with blogs and news in the Testing Community. 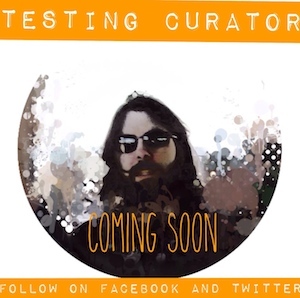 On Monday, I came across Michael Larsen’s blog post about a new testing survey coming out very soon that will be taking the pulse of the testing community. Since his posting, I have seen several others promoting it too. So….I am jumping on the bandwagon to help promote this survey. What is the goal of the survey? – What are the main challenges faced by testers around the world? – What does our professional environment look like? – Where is the testing profession heading? – How tester’s salaries vary across different locations worldwide? Coming Soon – Projected as early as December 5. It will only run for about 10 days. How can I help promote this survey? I am looking forward to participating in the survey and seeing the results. I hope you will too! Be sure to share the news with other testers that you know! I am currently transitioning previous postings of Testing Bits to this site. Here is this week’s collection of articles, blogs, and announcements covering the days of 11/24/13-11/30/13.